this has potential to be the worst photo i ever post on this blog. it’s awful. i used an app that i thought would make it look cool. instead, it looks like one of those effects they use at theme parks to make you look old-timey. and to top it off it’s blurry. oh well. let’s move on. i don’t spend too much time on here talking about hair products, because i haven’t really used them until a year ago when i abandoned my frat-cut for a somewhat hipper cut (thanks mic at parlour & juke). 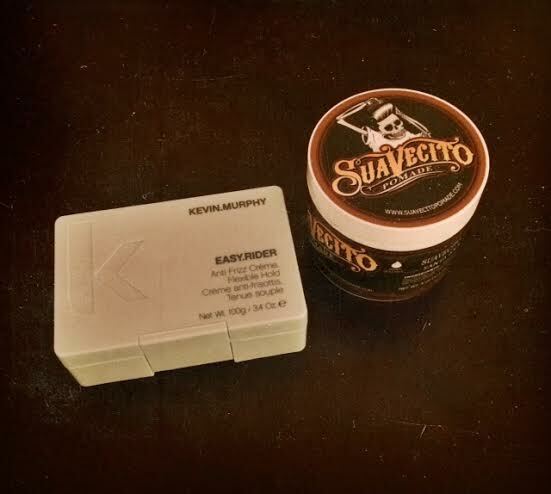 now depending on what i want my hair to look like i use one of two products: suavecito pomade or kevin murphy’s easy rider hold creme. both smell amazing and both do different things. if you want a slick, shiny look, then opt for the pomade (think don draper mad men). if you want something that will hold it in place, but won’t look like you have crap in your hair, then go for the hold creme. i choose based on my mood that morning. just remember that a dab will do with both of these – unless you want to look like a 1950’s greaser. if that’s the case, then load up. i remember the phone call like it was yesterday. 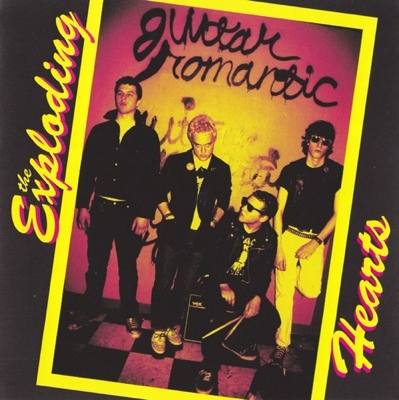 a friend of mine called me back in 2003 and said, “dude, you’ve gotta check out this band the exploding hearts. you’re going to love them. 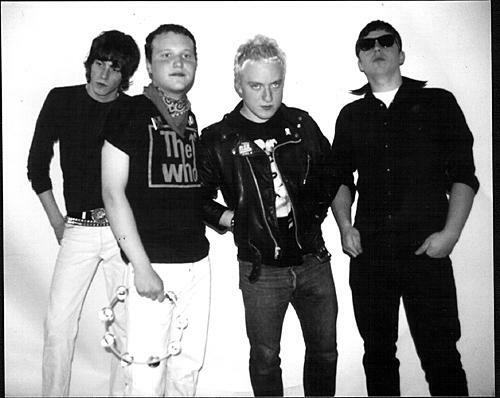 they’re right up your alley.” he described them as sounding like the clash. i f**king love the clash, so i drove to tower records during my lunch break and bought guitar romantic. he wasn’t wrong. i love everything about this album: the cover art, the attitude, the melodies, the jangling guitars. it was the record i’d been waiting for since i first discovered punk rock in 8th grade. the best part was that at this point in time they were my little secret. the internet was in its infancy stages as far as discovering new music was concerned i.e. i still relied on word of mouth for new bands in the early 2000s. i was going to spend the next several weeks telling everybody about the exploding hearts, but 3 months later their budding career came to an end when their bus ran off the road, flipped over and killed 3 out of 4 members of the band. that was the end of the exploding hearts. i go back to guitar romantic every couple of months. it’s a short record – 10 songs that average about 2.5 minutes each. you can listen to it over and over and hear things you missed on the last listen. it’s a classic and one you should have in your library.